Theory Instructor Rebecca sat through her first choir rehearsal when she was just a few weeks old, having grown up in a very musical family. She began singing in choirs at the age of five, attending annual choir camps, choral festivals, and choir tours her entire life. She has toured and performed on stage at Carnegie Hall and Benaroya Hall for invitational concerts. 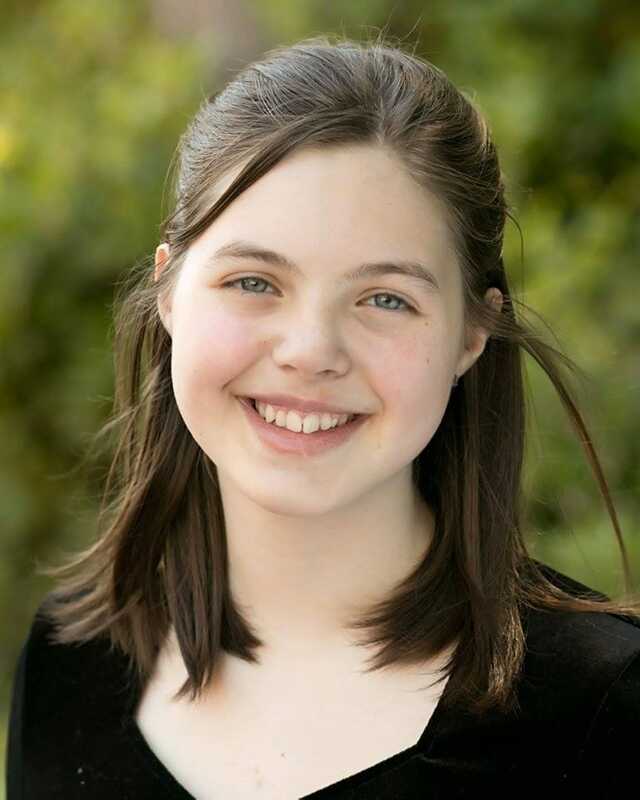 She has participated and performed in each of the annual Fort Worden Children’s Choir Festivals held from 2000-2016 held in Port Townsend, WA. The last six years she also acted in the role of staff. Additionally, she has toured with choirs to Anaheim and San Francisco, California, Costa Rica & Italy. Rebecca has studied clarinet, piano, and voice. She has now been singing in select choirs for a total of 17 years. As a mezzo-soprano, Rebecca’s favorite part is singing harmony – although she has a wide range and is flexible enough to have been assigned everything from Soprano 1 through Alto 2 in her various choirs over the years. Sharayah first discovered her voice as an infant, mimicking her father’s singing. As a toddler she would hum herself to sleep. Her love of singing and music grew throughout her life as she continued singing at every given opportunity. Sharayah is an avid choir singer, section leader and soloist, having sung in community and school choirs for over 12 years. Choirs she has participated in include Tacoma Youth Chorus (Judith Herrington, Director), Cappella Choirs (Stephanie Charbonneau, Director), Vaughn Elementary School Choir, Peninsula High School Chamber Choir and Show Choir - where she also served as Choir President (Alison Ellis, Director) and Spectrum Choral Academy (as a founding member of Ensemble). During her senior year of highschool, she participated in an educational practicum at Kopachuck Middle School where she assisted with the musical theatre and choral classes under Alison Ellis. Sharayah began college at St. Cloud State University in Minnesota, where she participated in the Concert Choir and the Women’s Choir while pursuing her studies. Upon moving back to Washington, Sharayah returned to the music programs at Kopachuck Middle School where she did an internship continuing her hands-on education with their music programs. She has toured with choirs to New York City (Carnegie Hall); Portland, Oregon (Oregon Bach Festival/PICCFEST); and travelled extensively around Washington State performing concerts at some of the beautiful colleges and churches in the area. Sharayah has a passion for travel, singing in many languages and performing in acoustically stunning venues. Sharayah has been involved with Exceptional Choral Events since its conception. She has worked as a rehearsal assistant for Spectrum Choral Academy, a camp counselor for Northwest Choir Camps and the Spectrum Day Camp and staffed at both the Fort Worden Children's Choir Festival and Youth Choir Festival NW. She graduated from Tacoma Community College in December 2015 with her AA Degree and is currently attending Washington State University’s Global Campus to complete her Bachelor's Degree in Social Sciences. Sharayah believes in the power of music and how it promotes human growth, development and healing. She is excited to take on this new role as Managing Director and help even more young people and families explore the power of music. Brett has always loved the feeling of creating beautiful music. He grew up as the youngest of four very musical children and was greatly influenced by his siblings’ involvement in music. After participating in the Port Orchard Superstar competitions in both 2007 and 2008, Brett was delighted to be in the final round of participants at the ages of 6 and 7. He also took piano lessons for four years with Joanna Heagerty. In his free time, Brett enjoys teaching himself songs both on the piano and vocally, in hopes to continue growing as a musician and performer. In the 3rd grade, Brett was invited to join his school choir at South Colby Elementary (a year ahead of his peers), where he got the opportunity to work with Director Lisa Mills. Then as a 7th grader, he joined Spectrum Youth Chorus in January 2012. During his time with Spectrum, Brett has participated in the annual Fort Worden Children’s Choir Festival as a singing staff, the 1st Youth Choir Festival Northwest, NW Choir Camps - Honor Choir Summer Camp and the 2016 Spectrum Italy Tour. Brett is a junior at South Kitsap High School, where he sings with their top two choirs: Highlighters and Chamber Choir. Last year he toured with his highschool choirs to New York City and sang in Carnegie Hall. His life goals include wanting to star in at least three Broadway shows, release an album or two and become a published author. He also plans to study medicine and become an ER doctor. He also wishes to learn to play the harp, cello, flute and to continue to master his vocal abilities. This is Brett’s third year in Spectrum’s Ensemble and he is absolutely delighted with what he has learned so far. ​ Hannah has been involved in the arts her entire life. She joined her first choir in the 5th grade at Harbor Heights Elementary School, continued singing in choir at Goodman Middle School and currently at Gig Harbor High School. She loves to sing because she has always been fascinated with how people can sound so beautiful with all of the different harmonies and she loves being part of that. Hannah joined Spectrum Youth Chorus as their youngest member in fall 2011. Since then, she has participated in the annual Fort Worden Children’s Choir Festival, the 1st Youth Choir Festival Northwest and NW Choir Camps Honor Choir Summer Camps. Hannah was also a Spectrum Day Camp counselor & theory teacher this year. Hannah began formal dance instruction at the age of five. She currently studies dance at Dance Ally where she takes classes in ballet, jazz, tap and lyrical. Her dance studio toured and performed in Disneyland in 2012 and 2015. Hannah’s favorite styles of dance are ballet and tap and she was excited to graduate to pointe in January 2014. 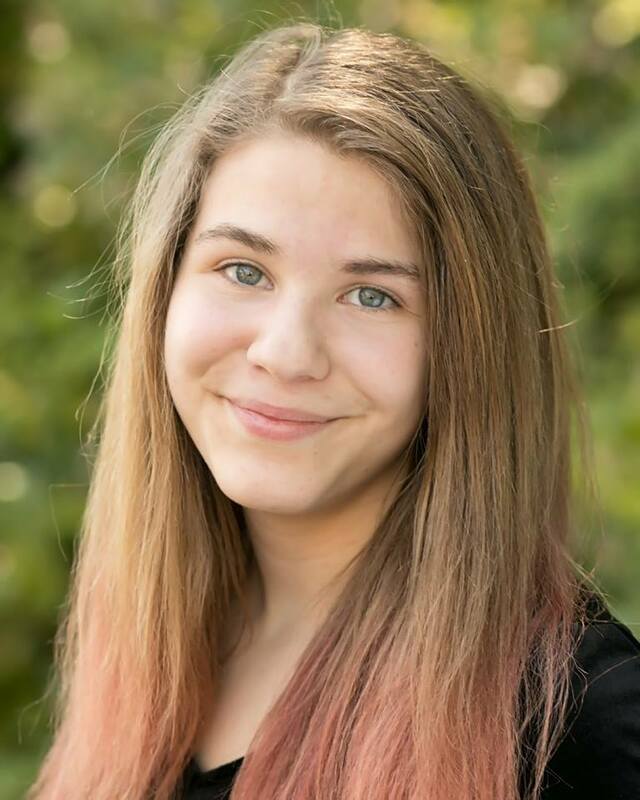 Hannah is a junior at Gig Harbor High School where she is involved in multiple AP courses and Meistersingers. She auditioned and was selected to sing soprano for the NAfME All-State and All-National Highschool Honor Choirs, culminating with rehearsals and concert in Texas in November 2016. In 2017, she will tour to New York City with Meistersingers. Hannah hopes to have future career as a music teacher. ​Kyla is a sophomore at Steilacoom High School. She has always loved to sing and joined her first choir in the 1st grade at her school. Being in the same district her whole life has drawn her very close to her fellow singers and directors. This is her 4th Season in Spectrum, having started by attending the 2013 Honor Choir Summer Camp (where she got her first solo). She currently sings in the choir at her high school and has been accepted into the MENC All State Honor Choir all three years of middle school. In addition to singing in the Youth Chorus, Kyla toured with Spectrum to Italy in June 2016 and volunteers as a counselor for the Spectrum Day Camp. Her dream job is to be a rock star, although her more attainable goal is to work as a choir/music history teacher. She has always been fascinated with history and retains the information on it fast. She likes to be called by her nickname, Kat. Her favorite thing to do in her free time is listen to the Hamilton sound track and sing it with her friends. Nathaniel is a sophomore at Gig Harbor High School. He is a wellrounded musician, having played piano for 7 years and clarinet for 4 years in addition to singing with Spectrum for the past four seasons. He joined Spectrum Youth Chorus in spring 2014 and has participated in the annual Northwest Choir Camps, Fort Worden Children’s Choir Festival and toured to Italy in June 2016. He has also been a counselor for Spectrum Day Camp. Through piano improvisation, Nathaniel discovered he likes to compose and has entered his works in competitions. He is considering studying music composition and band conducting in college. Rachel is a freshman at Gig Harbor High School. Her love of music has led her to pursue multiple instruments as well as participation in multiple choirs. At her high school, Rachel is a part both the choir and band. She plays the clarinet (3 years) along with a little guitar, bass, saxophone and flute. 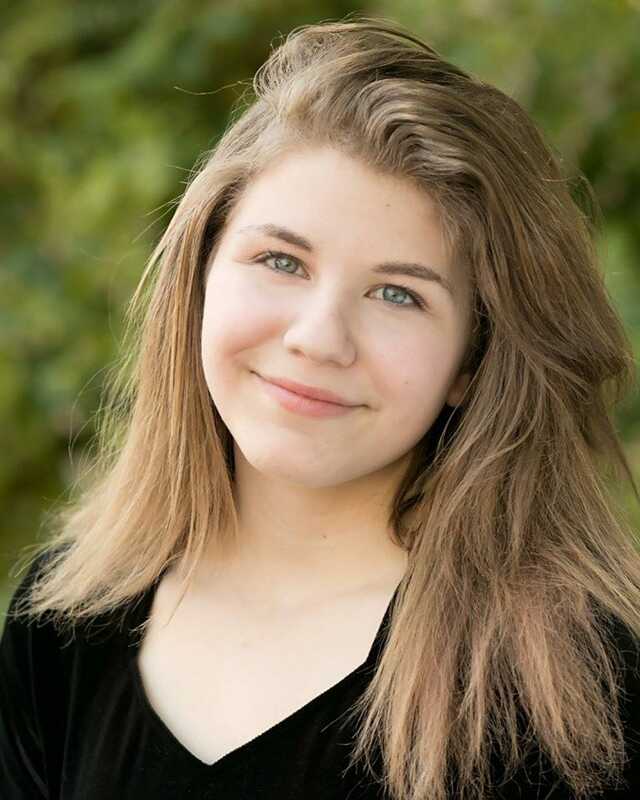 Rachel is a founding member of Spectrum Choral Academy – starting out in Children’s Chorus as a 5th grader. She attends the annual Fort Worden Children’s Choir Festivals, Northwest Choir Camps, works as a Day Camp Counselor and toured with the choir to Italy in 2016. ​Madison is a freshman at Vashon Island High School. She has been singing with Spectrum Choral Academy since 2013, when she was in the 5th grade. She has always loved to sing. In addition to being part of Youth Chorus and Ensemble, Madison has been a counselor for the Spectrum Day Camp and toured to Italy in summer 2016. She has also participated in the Fort Worden's Children's Choir Festival four times. Madison started singing when she was 7, preforming at small places like the fair and for school events. In addition to singing, she loves to dance and attends dance classes at Just For Kicks Dance Studio. With a love for singing and dancing she developed a passion for musical theater and now performs in local theater shows whenever possible including The Admiral Theater and Western Washington Center for the Arts. Madison and her twin sister compose and arrange songs for voice and ukulele. They play at local open mics, competitions and even get hired for parties and gigs. She is very excited to be part of Ensemble this year and is excited for her future with Spectrum. ​Sedona is a freshman at Vashon Island High School. She has had a passion for singing and performing from an early age. She dances at Just for Kicks School of dance and plays the ukulele, often busking at local fairs and Pike Place Market. She joined Spectrum Choral Academy in 2013 and has been a Spectrum Day Camp Counselor for several years. She also participated in the Fort Worden Children’s Choir Festival for the last four years and toured to Italy in summer 2016. She likes to enter talent competitions with her twin sister, playing the ukulele and singing. Sedona also runs a babysitting business.